I just experienced my first “staycation” and it was wonderful. Being an Arizona native, it’s easy to take for granted the many things our great state has to offer. 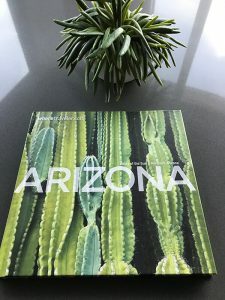 Every winter, thousands of people from across the globe flock to Arizona to enjoy the great weather, special sporting events or world-class golf. Naturally there are many first class resorts and restaurants to accommodate the influx of visitors. Living in Scottsdale, I had never actually stayed at any of the fantastic resorts that are here in my backyard. 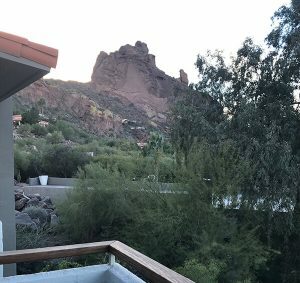 I took the plunge and had a great stay-cation at the Sanctuary Camelback Mountain Resort. This property, a hidden gem surprisingly located right in the middle of Phoenix, is nestled into the northern slopes of our famed Camelback Mountain. 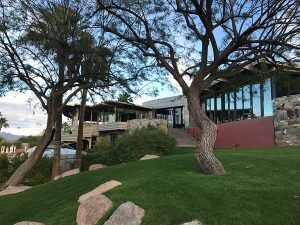 The Sanctuary is a 53-acre boutique resort offering commanding views of Paradise Valley. 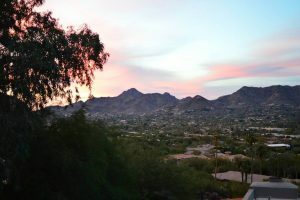 It is close to hiking and other great Phoenix activities. I live less than 20 miles from the resort but I quickly became immersed in the natural beauty, the luxury and the hospitality. I felt like home was 2000 miles away! This was a true staycation! We loved our spacious mountain-vista suite with its panoramic view of Paradise Valley. The suite was modern and comfortable. It had a balcony, fireplace in the living room and an enormous bathroom with a free-standing bathtub. Local artists provided the southwestern-contemporary artwork. One of our favorite moments was sipping wine on the balcony at sunset. We watched the shadows grow across the mountain’s red rocks and the vibrant blues, oranges and reds of the approaching twilight. 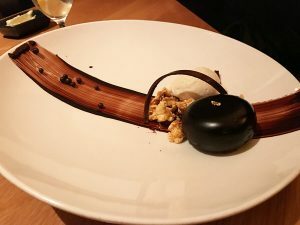 We walked down the hill to the resort’s Elements Restaurant for dinner; it was delicious. The dining room is high above the valley floor with floor to ceiling windows providing a relaxing and romantic view. The cuisine has an Asian twist and is overseen by renowned Food Network celebrity Chef Beau MacMillan. We stopped in at the Jade Bar after dinner to listen to live music. shovelling snow and freezing, we are able to enjoy amazing sunsets and lots of sunshine! This is the time to get outside for some fresh air and get active…and the Sanctuary is a great place to do so with tennis courts, swimming, biking, hiking or simply walking the grounds of the resort enjoying the beautiful natural surroundings. I don’t know why we haven’t done a staycation before! the Asian-inspired spa with indoor and outdoor treatment rooms and indulge in Zen shiatsu or reiki. I had a facial…it was heavenly. The resort is pet-friendly so you can bring your loved ones with you. Although for only a weekend, our stay allowed us a much-needed respite from the real world and a chance to unwind. The Sanctuary lived up to it’s name and we left feeling relaxed and refreshed, and reminded how lucky we are to live in Arizona.